After a string of books that I put down halfway through, I’ve been thinking a lot about what makes novels good and what makes them mediocre. It’s actually a topic that comes up surprisingly little for me, because most of the books that I read are so self-evidently good that the question doesn’t need to be asked. That’s the real answer. A book is good when it convinces you that it deserves to exist. The contours for ‘deserves’ are very broad and very different from person to person, and that’s as it should be. Different people want different things from books. Different people have different reading histories. Many people seem to be content, in their reading, with a few well-drawn characters and a plot that hums along well. But for me that’s not really enough. In fact, I will dispense with one or both of those things if a novel has something to offer. For instance, whenever I read Agatha Christie I’m struck by the flatness of her characterization. Other than a few nervous tics and odd phrasings, Hercule Poirot has no personality. And in most of her books (at least the ones I’ve read), it’s hard to believe that the characters contain enough passion to be able to murder anyone. But she shows you something new. Even after 80 years, her plots are cunning and inventive. And some books have neither plot nor character. I recently read Yasunari Kawabata’s Snow Country, which was about…I think it had something to do with geishas? Who can tell? Who can remember? But even months later, I’m left remembering that train rolling through the snow. There’s a beauty to his settings and to his words that stays with you. For the reader, there’s really no reason to figure out what makes one book good and another bad. In fact, I think it can a deleterious quest. Readers can convince themselves that they want one thing, when really they respond to other things entirely. For years, I thought I hated quiet, domestic stories, because I liked ‘exciting stories where things happen,’ until I eventually went back and actually looked at the stories I’d responded to and realized that, for me, the most exciting events in a story occur when a character whom you care about does something that surprises you. I’ll always remember, for instance, a scene at the end of Sinclair Lewis’ Main Street where the protagonist and her husband finally sit down and talk about the distance that’s grown up between them. I’d never read anything like it. They bulldozed through an entire book’s worth of antipathy and had the first honest talk that I think either of them had ever had. For the writer, though, there’s a certain allure to systematizing goodness and badness, because it allows you to reassure yourself that, no matter your book’s individual faults, it’s at least attemptingto be good. Because that’s the real failure in most mediocre books. It’s not that they tried for something and failed. It’s that they didn’t even try. 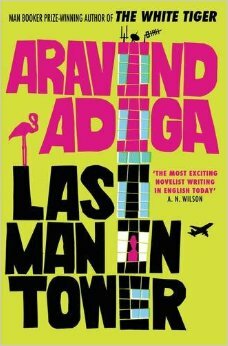 I just read, for instance, Aravind Adiga’s Last Man In Tower. In many ways, this is not a good book. It’s meandering. It contains too many scenes of the characters doing the same things. And there’s little in it that’s surprising. The book certainly doesn’t compare to his stylish Booker Prize-winning first novel, The White Tiger, or his keenly-observed story collection Between the Assassinations. But it’s also not mediocre, because it has glimmers of ambition. The main character, Yogesh Murthy, is a man who’s holding out against a real estate developer who wants to buy up his co-op building (making Murthy and all his neighbors rich) in a redevelopment deal. And although our sympathies are with Murthy–a man who doesn’t want to be displaced from his home–his reasoning is also so twisted and crazed (albeit still human) that we’re left feeling angry with him too. It would’ve been easy for this book to be mediocre. Would’ve been easy to make his neighbors seem simple and greedy and for Murthy to seem pure. And maybe the book would’e been more readable if he’d done that. But Adiga made choices that disallowed that reading. And that’s why the book deserves to exist. But is there a lesson here for the writer? Not really. I do think there’s a failure of nerve involved in the creation of a mediocre book. But I still have no idea know how to recognize or guard against that failure of nerve. I suppose that, as in most things, you just try your best.